Buy 5 packs of same item, and get an EXTRA BAG for free! 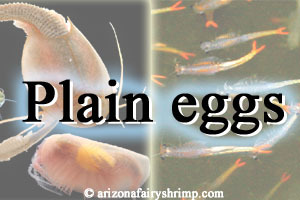 Fairy shrimp's color can be slightly different from the pictures. 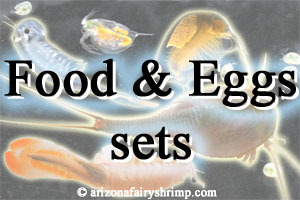 All packages may contain minor amount of the eggs of other species. The instruction in the package is more detailed than the one on this website. Click here to read selling and shipping policy. 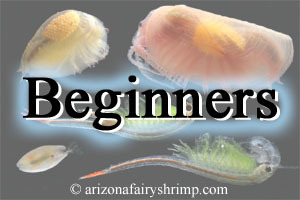 Fairy shrimp, clam shrimp, Triops, and water flea are tiny crustaceans, and classified in the group of Branchiopoda. They live in the water ponds of the mountains, the prairies, the wetlands, the deserts, and in every fresh water of dry lakes and vernal pools that are isolated from the river and have no fish. There are species live in snow-melted cold water, while others live in desert warm water. Some of them live in clean water contains algae, and the others live in muddy water. There are over 900 species living in totally different environments after their kind! We introduce the species in the southwestern USA. They are very interesting creatures. Their eggs survive through very dry climate exposed to freezing cold and burning hot weather for months or years, waiting for good hatching condition. Also they can easily be blown away by strong wind with dusts and travel to other places, and hatch out like seed of plants when the water covers the ground. In the water pools and the playas which keep appropriate depth of water longer than 2 weeks, they can hatch, grow, reproduce till the water dries up. As long as the pools have water, shrimps can keep reproducing for months until the life span ends. We offer the eggs of instant life. 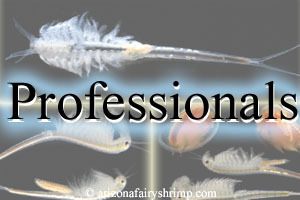 When you raise them at home, you will see the exalted and graceful movement of fairy shrimps that you've never seen before. You will also see their life cycle and how they live all together. We hope you enjoy another world hiding in the muddy water of desert!